Having completed the audit, and based on the findings and facts established we enter the brand positioning phase which assesses ‘where would we like to be’ as a brand. The part is to establish a brand personality. People buy from people – or should we say people they like, and if someone identifies with and likes your brand then they are more likely to interact with and buy from it. By defining a list of your values, and discussing the personality traits your values lead you to exhibit, we can build a picture of the personality, which allows us to explore the style with which the brand will communicate, and so how it will express its Big Brand Idea, which aims to sum the whole thing up in only a few words. These personality features can be easily expressed in our single Brand Wheel graphic. We can then build on this to establish the pitch. These will be the actual words, phrases and sentences used in day to day sales, customer touch points, and more formal presentations and pitches. The pitch will have the ability to flex to different audience segments, for example the informed and the less well informed about your services, as well as current customers when discussing further work, and potential customers who do not yet know all about the brand. The pitch should be very clear about the facts we’d like your customers to remember about you. The things they remember are the things they pass on in referrals through word of mouth. We can think of this as the things the industry knows about us, and therefore the volume of future sales hugely depend on the clarity of these points, so care should be taken to establish them. They do also come in very handy for chance encounter, ad hoc sales opportunities, as well as for internal communications. If your whole team is clear on what you should be famous for, then it is easier to be famous for it! The alignment phase is collaborative and within this we would recommend at least two workshops with up to 10 members of your team – ideally from across a range of roles within the organisation. In the first workshop we will introduce the concept of branding and ask attendees for their view on the brands values, personality, positioning etc. This is an interactive and dynamic process, taking around 4/5 hours, which we strongly recommend is held off-site. 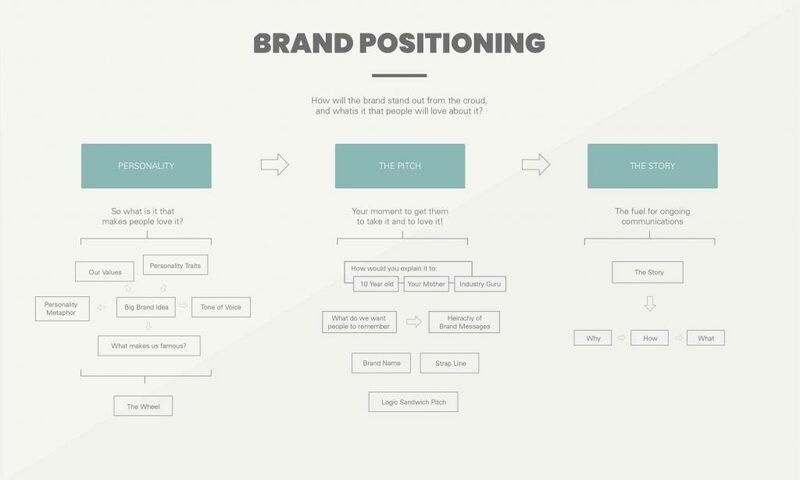 From the first workshop we can start to put definition around the brand, its key messages, and begin to consider how this will influence and determine what the new brand will look like. In the second workshop we then share initial brand concepts (normally two or three design routes) which will include first stage logo designs and ‘adcepts’ so that attendees can see the brand brought to life, how it will look and more importantly how it stands out from the competition.